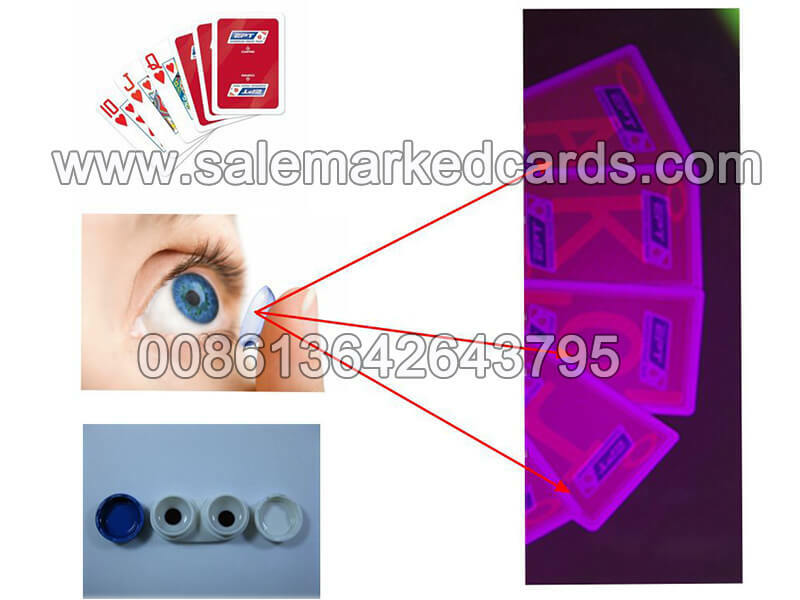 Marked cards contact lenses, refers to the special contact lenses that can see the invisible ink marked cards here. These speical infrared contacts are sensational, which are the best partners with our marked playing cards! Wearing these IR contact lenses, you can see the marks on bottom of our processed marking cards pretty well. The invisble ink markings on the playing cards, can be sometimes luminous bright marks or black juice marks, which are invisible to naked eyes while our marked cards contact lenses can see all them clear. In humans, the eye color distribution varies according to the regions and populations. For instance, blue eyes are commonly observed in people of Western Europe, whereas hazel eyed individuals have a higher percentage in Spanish. Meanwhile, most of America's eyes either like Frenchman's or British in color. Thus why sometimes we might ask our customers what's the eye color or where they are from. We need to get it clear that which contact lenses are the best ones for the certain eyes before our clients doing an order, so as to check the exact price. Usually the contact lenses for dark brown eyes can see the marked cards very well, but they are not the best ones for light color eyes for they might make the light color eyes look darker than the native colors. So it's very important that people get the right professional contact lenses for poker games with marked cards. For people who have interesting in these contact lenses that can see invisible marked decks and need cheap price, the ones of 200usd maybe a good choice. For people who want to have very good version at the invisible marks, the better contact lenses are available for you. And for those who have very light color eyes and want to enjoy the poker games with convenience and safety, the professional infrared contact lenses can help you a lot. For those invisible contact lenses to see marking playing cards, they have a certain lifetime which is similar to the common contact lenses. Usually the more expensive ones may have a longer lifetime than the cheaper ones. ​Nevertheless, wherever you come from, whatever your eyes color is, no matter what your requirement is, there will always be suitable marked poker contact lenses for you here! Marked cards contact lenses is not a name for any certain product, but refers to the contact lenses that can see invisible marked poker cards, which may usually use in magic shows with marked deck, or poker cheating or cheating detecting. 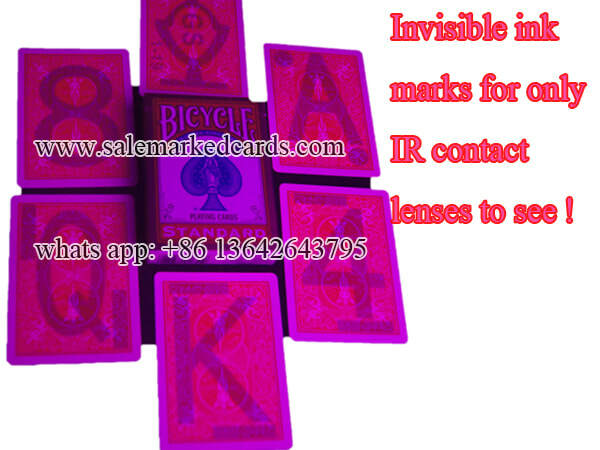 Here marked cards contact lenses refers to the IR or UV contact lenses. Infrared contact lenses is quite popular mong the poker players. Ans also many guys might asked such a question that "Is your contact lenses IR or UV contact lenses?" In fact, that doesn't matter so much if you just want to get the contact lenses to see the invisible luminous marks of marked playing cards. Marked cards contact lenses are usually for reading back marked cards. It is simple and easy for operation. The magic product could bring your game a wonderful effect. Don't you want to have a try!